Welcome to the Bay of Islands Singers’ website. We are a mixed-voice community choir of around 60 singers. Though based at the Turner Centre in Kerikeri, rehearsing on Mondays from 6.30 to 9.00pm, we attract members from as far aﬁeld as the Hokianga, Doubtless Bay and Opua. The choir embraces singers of all ages, stages and walks of life. 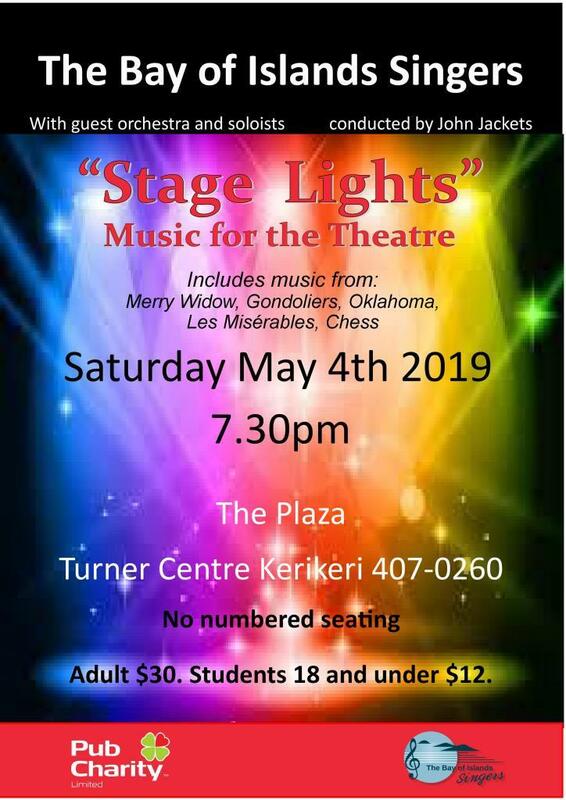 What unites us is our love of singing and the desire to bring the best of the classical and contemporary choral repertoire to audiences in Kerikeri and throughout the Far North. New members are always welcome. If you are interested in joining the choir please Contact Us. Most of our performances are accompanied by musical ensembles and often feature talented young and established soloists. Three concerts in the year are costly to put on, and we are grateful to our various financial Supporters to allow us these opportunities to perform. The choir has built up a library of music over the years and this is available for hire to other choral groups. Our Concerts section includes full details of our next performance and information about our past concerts, which illustrates the broad range of music we perform. You will also find photos of past performances.